To say that Fortnite has been a success would be an understatement, as the game has skyrocketed in terms of players and reach. As an added bonus for playing, Fortnite players on the PlayStaiton 4 are in for a treat, as they can snag some free cosmetic items right now, as long as they’re a PlayStation Plus subscriber. 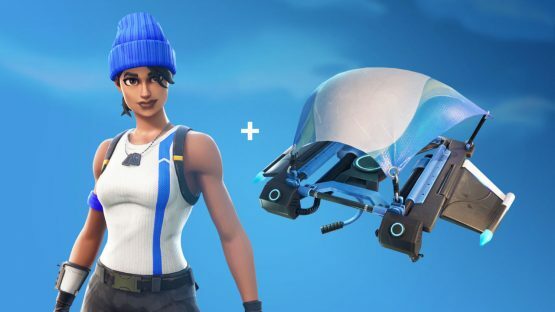 With no formal announcement of the items, a PS Plus bonus surfaced onto the PlayStation Store today (via GameSpot) that gifts players with a glider and an outfit. The “PlayStation Plus Celebration Pack,” as it’s called, isn’t available for purchase anywhere else and can only be claimed if you’re a PlayStation Plus member. Should you meet the somewhat simple criteria, you can head over to the PS Store to pick up the pack and dress your character up. Optimize, reduce, and eliminate all unnecessary calls to the backend from the client or servers.Some examples are periodically verifying user entitlements when this is already happening implicitly with each game service call. Registering and unregistering individual players on a game play session when these calls can be done more efficiently in bulk, Deferring XMPP connections to avoid thrashing during login/logout scenarios. Social features recovering quickly from ELB or other connectivity issues. When 3.4 million clients are connected at the same time these inefficiencies add up quickly.